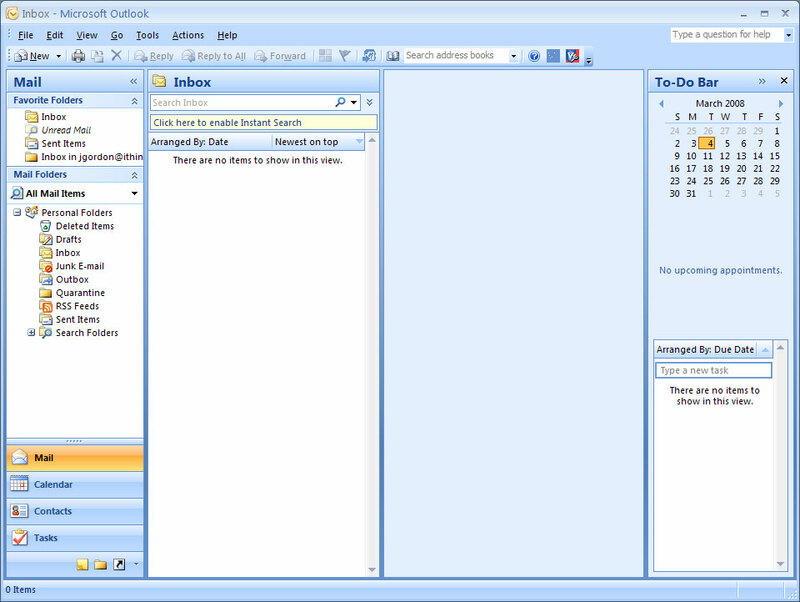 Open Outlook, this can be done from your start menu or the desktop if there's an icon for Outlook there. 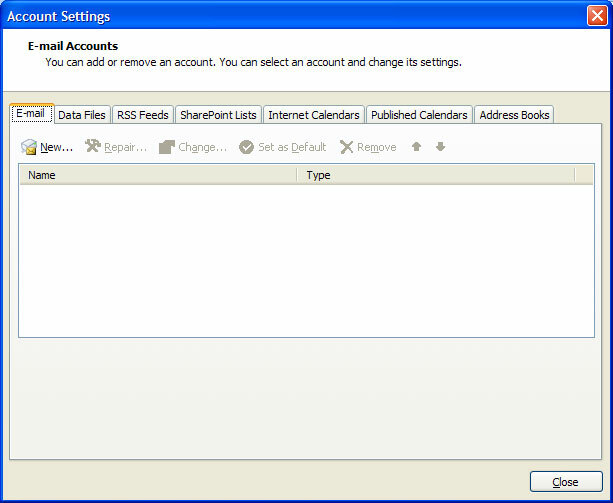 This will gray out your information, but it should be saved for the next step. Press the Next button. 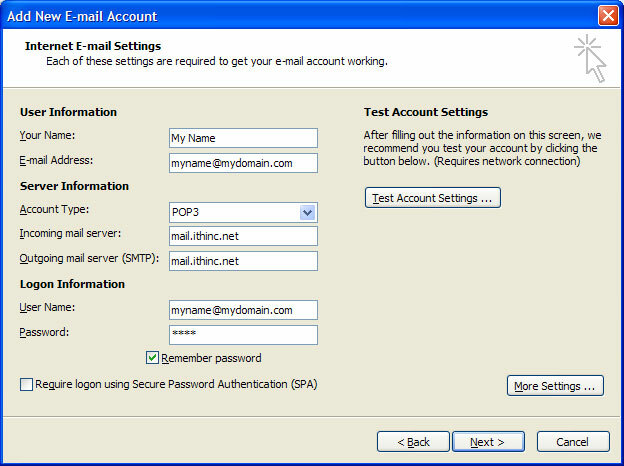 Some of your information should be already entered thanks to step 4, however you'll need to enter your server Information: Account Type: IMAP Incoming Mail Server: mail.ithinc.net Outgoing Mail Server (SMTP): mail.ithinc.net You may have to reenter your password. 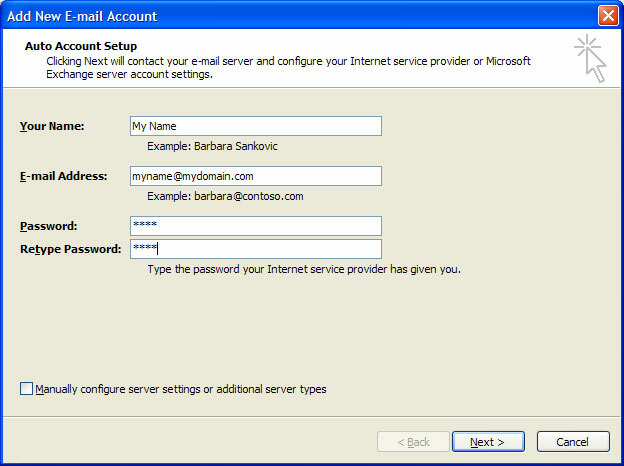 Note that your username is your whole email address Once you're done here click on the More Settings button in the bottom-left hand corner. 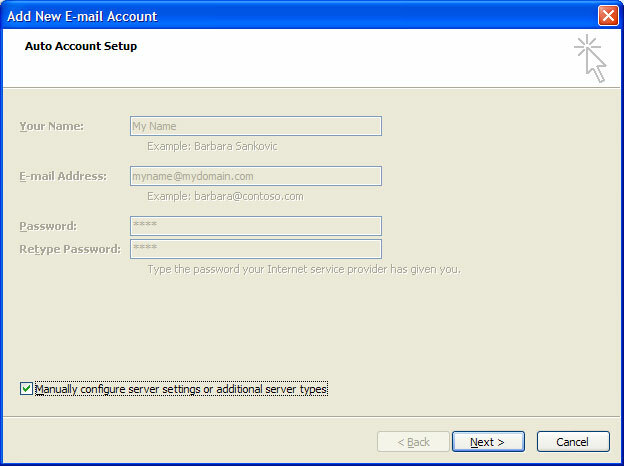 Click on the Outgoing Server tab and then put a check beside My outgoing server (SMTP) requires authentication. 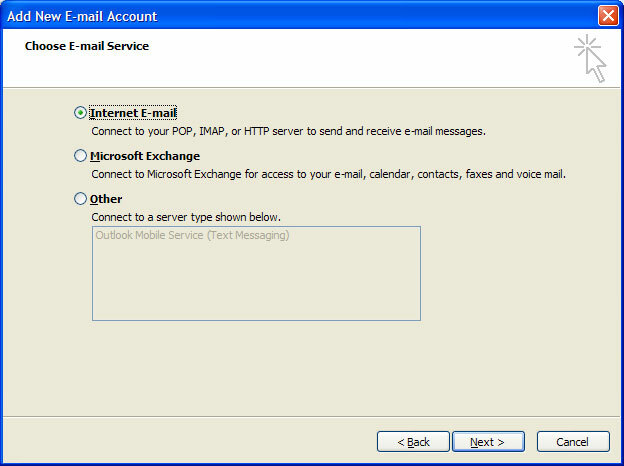 Be sure that a check is beside Use the same settings as my incoming mail server. 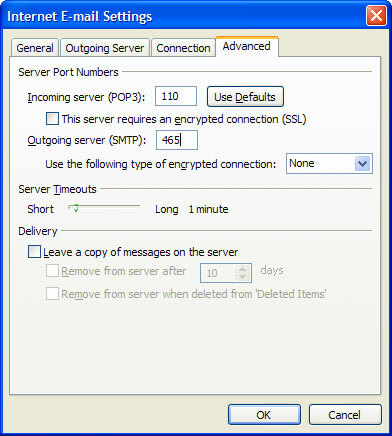 Click on the Advanced tab and change the Outgoing Server (SMTP) port from 25 to 587. 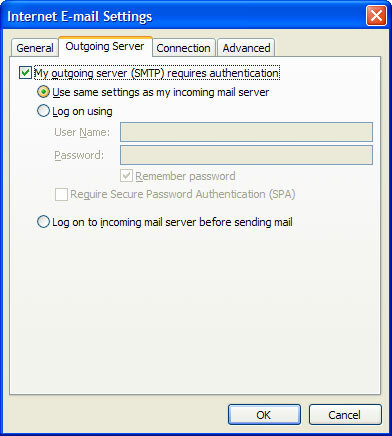 This is important if you plan on sending mail. 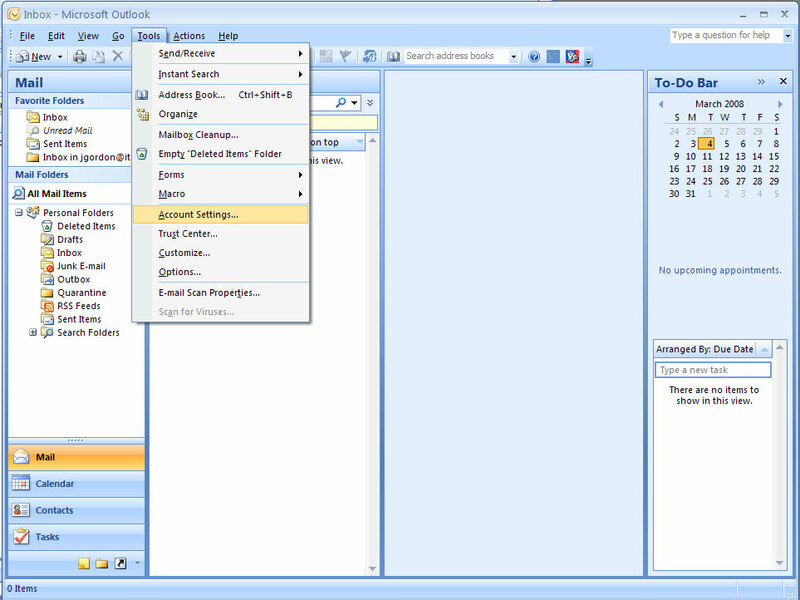 Just OK/Next/Finish all the way back to your main Outlook window and you should be able to access your email. Good luck!